Leawo Prof. Media is an all-inclusive media converter toolbox that provides multiple solutions to its users. It provides the ability to convert 1080P videos, DVDS, Blu-ray, online videos, audios, photos, and throws in a few extra features as well. Copy DVD movies to computer or blank disc, directly back up ISO file onto disc, supporting 1:1 duplication, movie-only backup, etc. More on this amazing software can be found on the Leawo website. The current Thanksgiving offers gives you an astonishing 70% discount. Normally the software goes for $279.60, but you can get it for $79.60 under the current offer. Head over to the link to make use of this offer. The offer runs between November 16, 2016 – December 2, 2016, so hurry up and make use of it. This is basically a combination of three software that help you manage your iTunes music library. 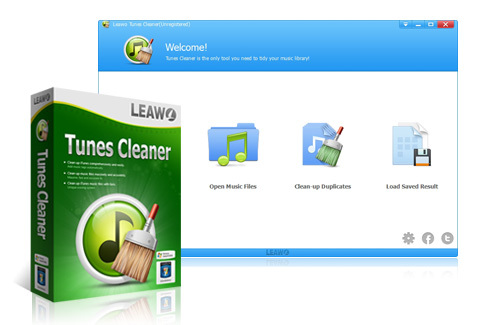 Leawo Tunes Cleaner helps you professionally clean up iTunes music library organised on your PC or your Mac. This can be done by cleaning up music files in folders as well as the libraries. Leawo Music Recorder is a top-ranking audio recording software for music lovers to record music and audio from both computer audio and input audio, assisted with multiple useful bonus features like recording Task Scheduler, album cover finder, etc. The current Thanksgiving offer gives you a discount of over 50%, dropping the price from $89.93 to $39.58. Head over to the following link to make use of this offer. Like the above, this also runs up to the 2nd of December, 2016. Other Blu-ray/iOS related products will also be sold with up to 50% discount. Buy any Leawo Product and get 7 Partners’ Products free! And we save the best till the last. You can buy any Leawo product during this period, and you will get all 7 of the above featured products free. These will be delivered according to their own preferred methods. So, there you have it. A great set of deals from Leawo. Head on over to the special promotions page to find out more or buy them. Remember, the deal runs out on the 2nd of December, so hurry up! Previous story The Fourth Industrial Revolution: What will it mean? Leawo TunesCopy is good as it helps me remove protection from iTunes DRM M4V. I highly recommend this software, and it is deducted 75% before Dec. 22.